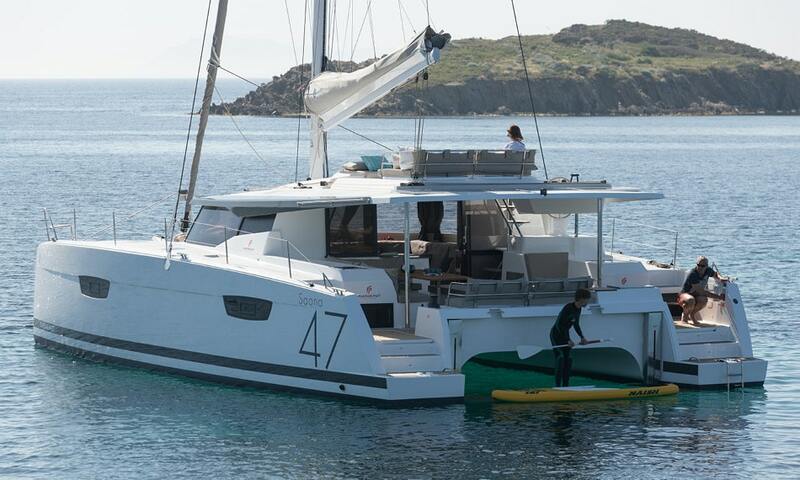 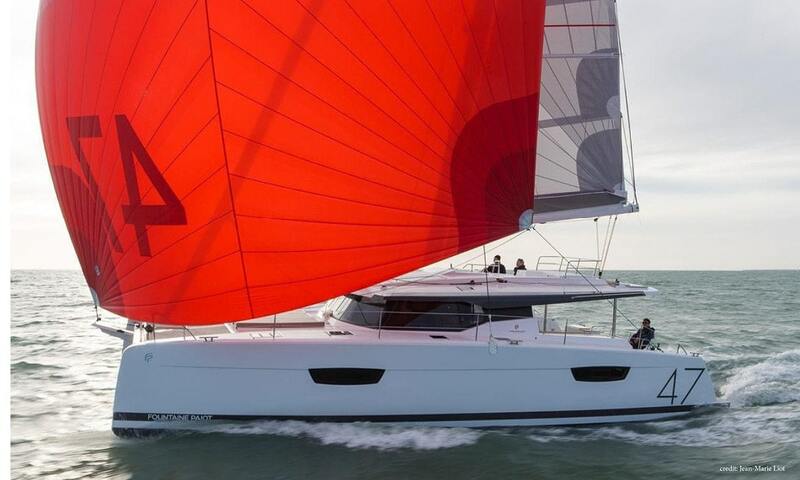 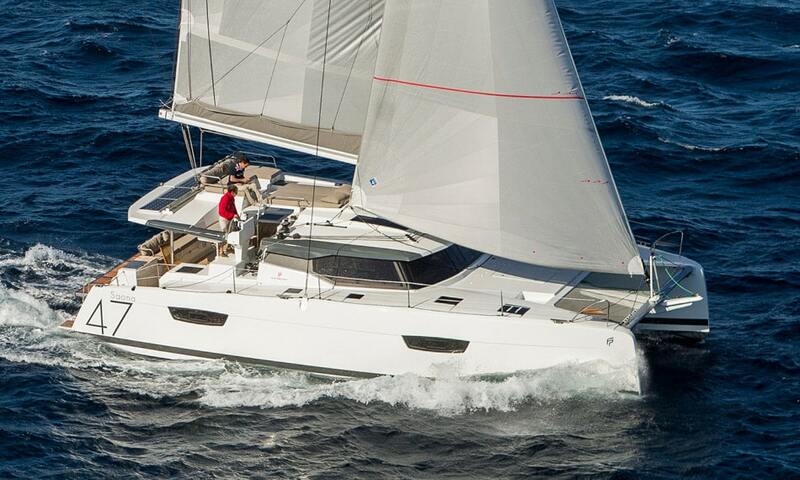 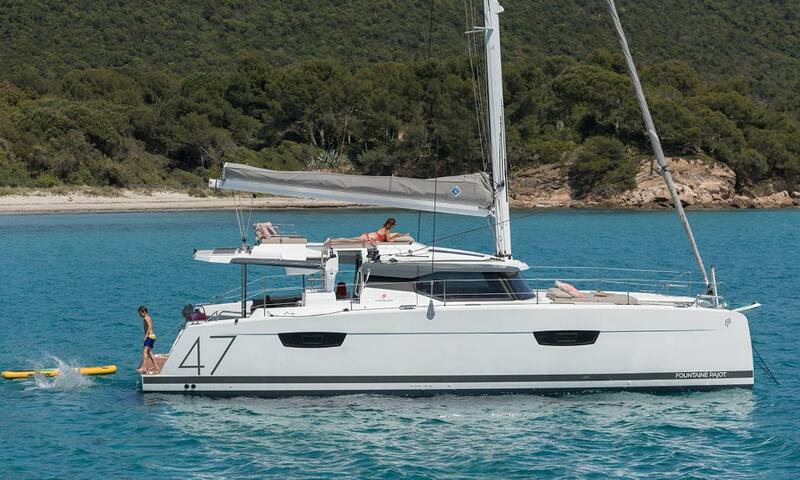 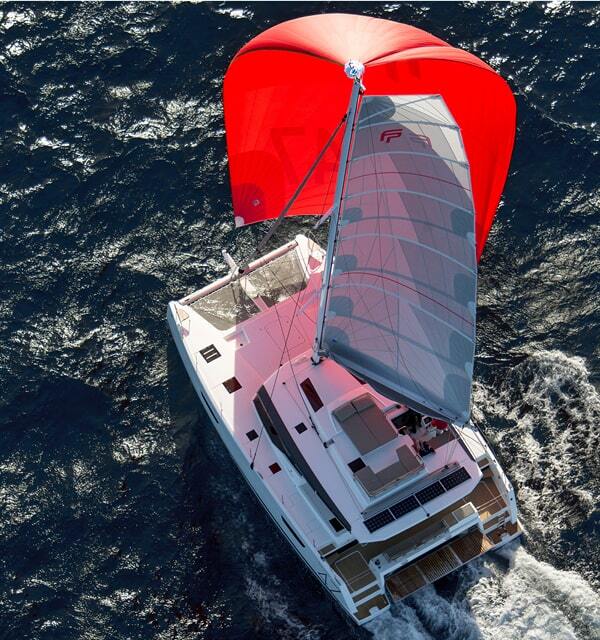 Catamaran Saona 47	This sailing Catamarans is setting a new standard in modern cruising catamarans ! 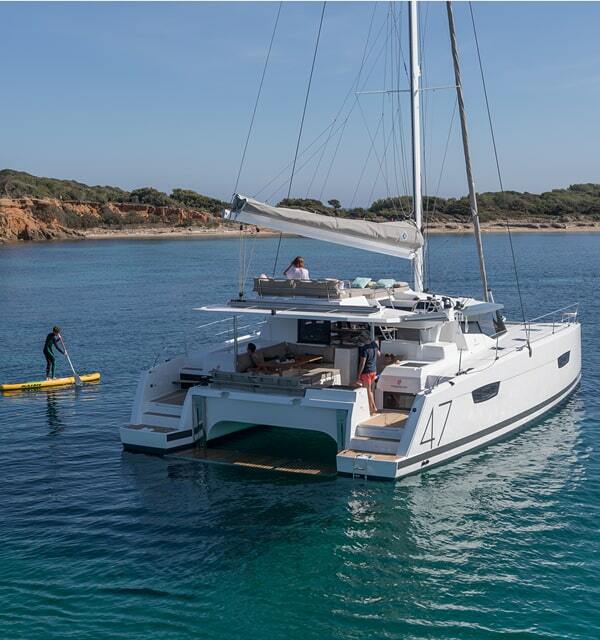 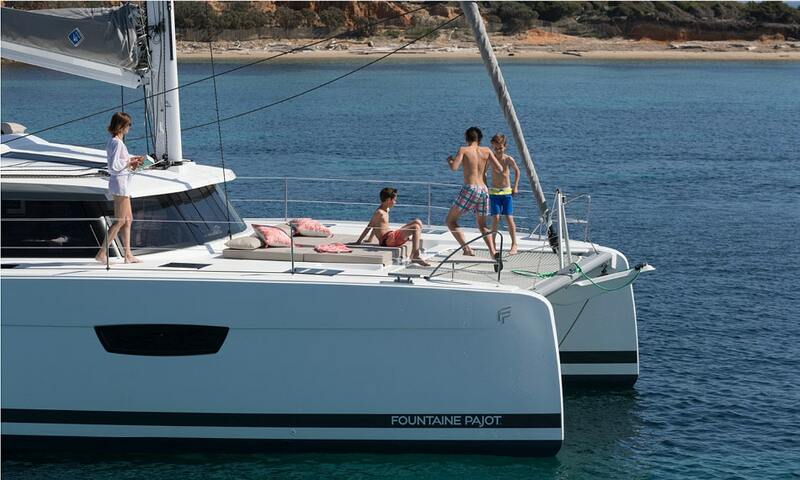 Encompassing the finest signature features of the Fountaine Pajot shipyard, the Saona 47 exudes a striking aura with her distinctive design, strong lines and timeless elegance under sail or at anchor. 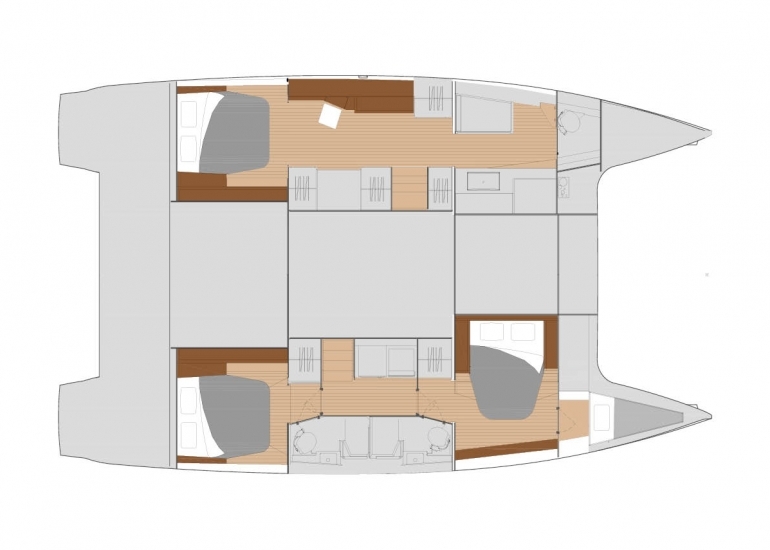 The Saona 47 boasts expansive living areas for enhanced cruising pleasure. 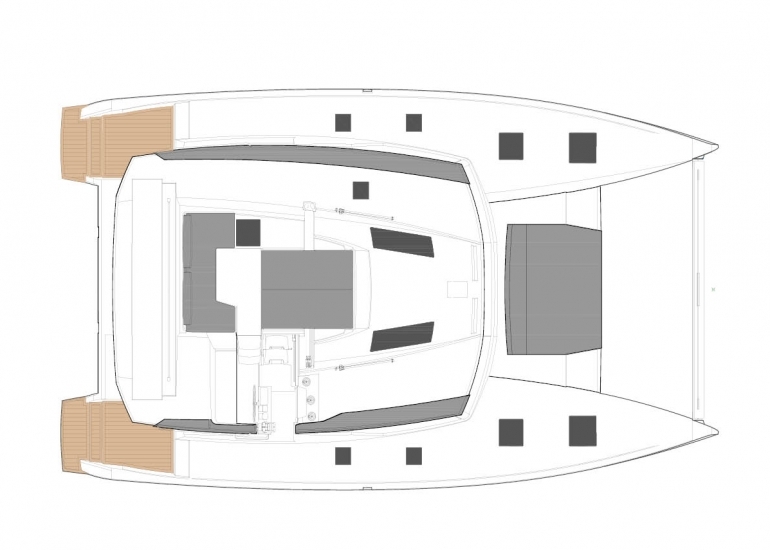 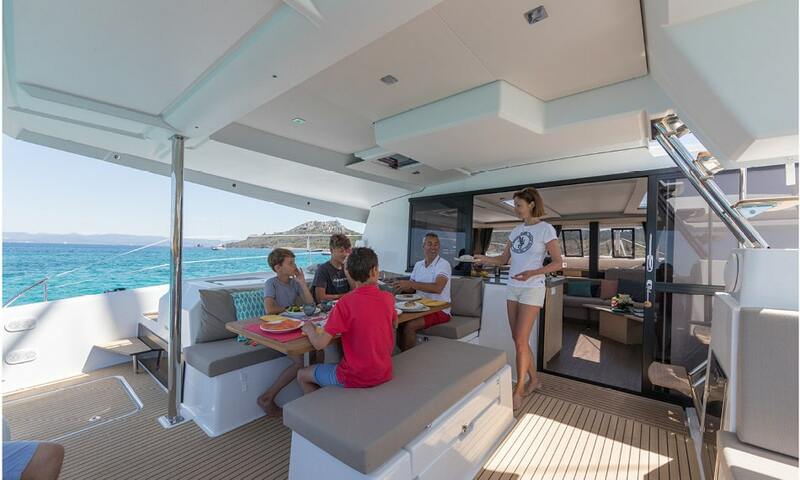 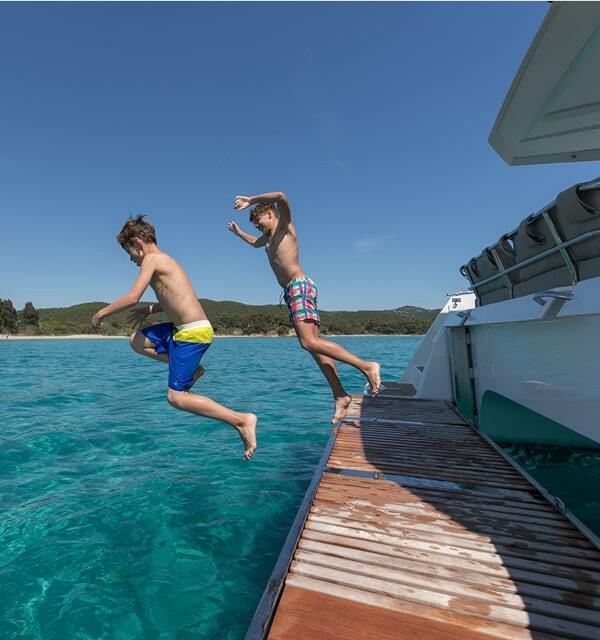 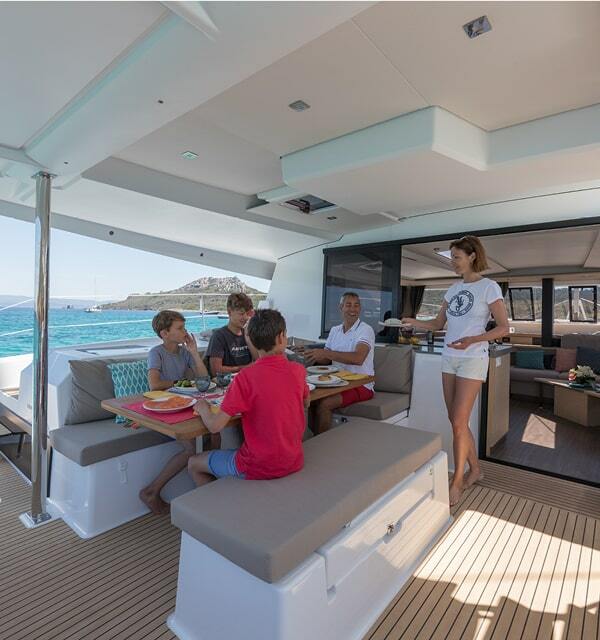 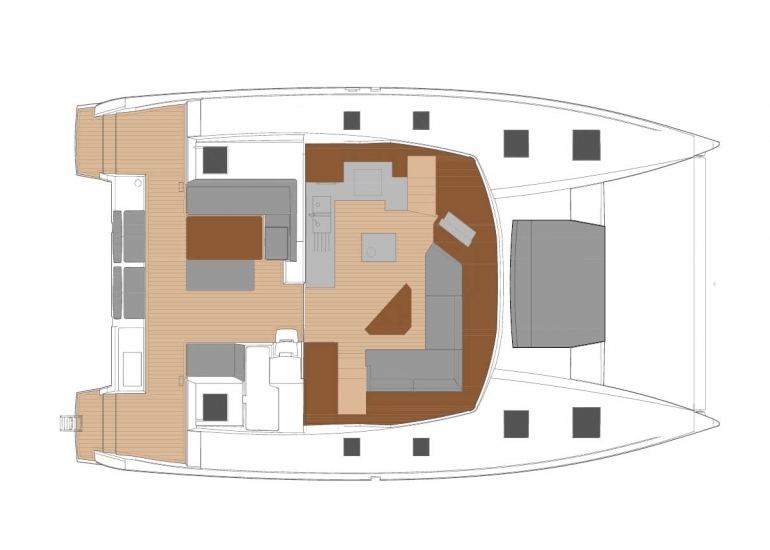 The expansive cockpit is intelligently designed for entertaining and features an extended aft platform to easily facilitate a host of leisure activities. 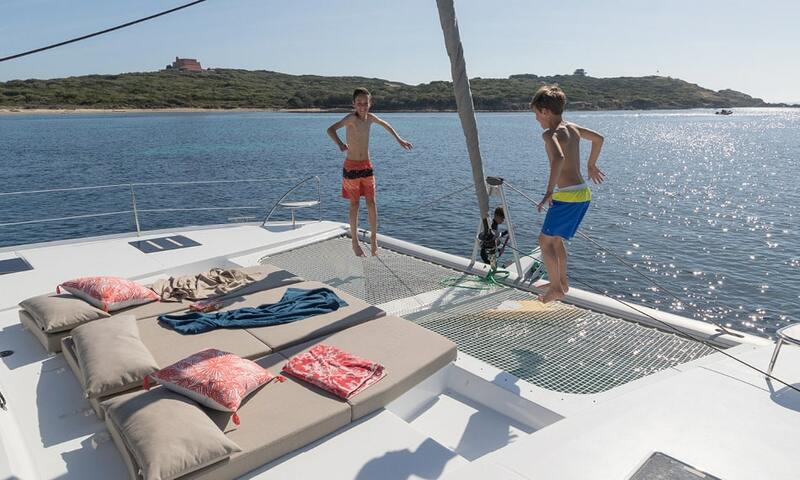 Immerse yourself in your spectacular surrounds on the foredeck’s huge sun lounger, or share in the cruising experience at the helmstation as you unwind on the exceptionally large 9m2 lounge deck. 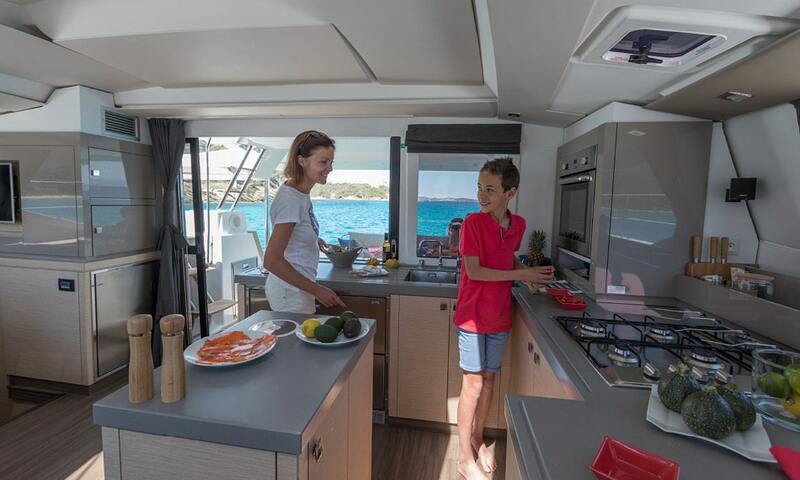 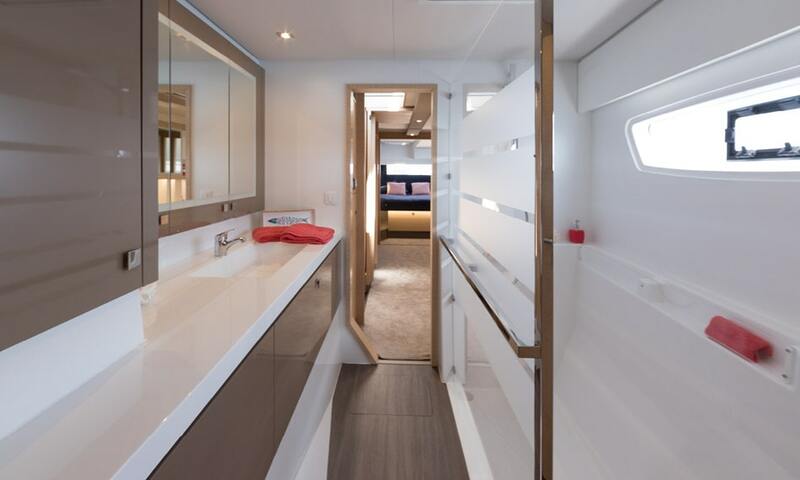 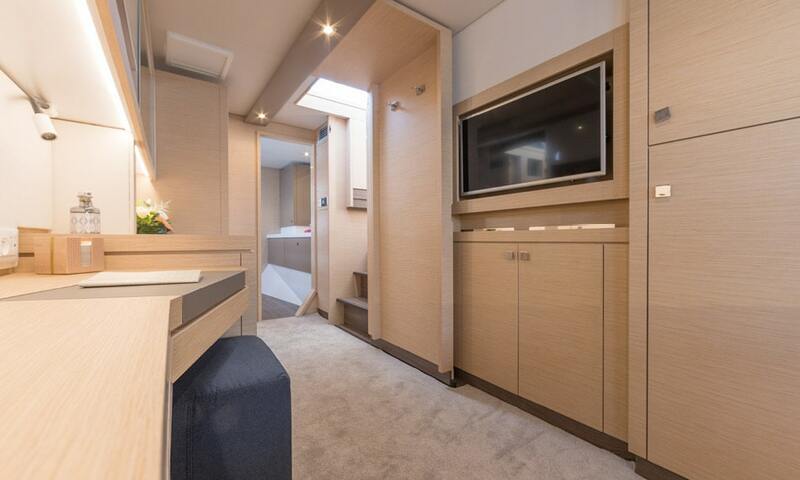 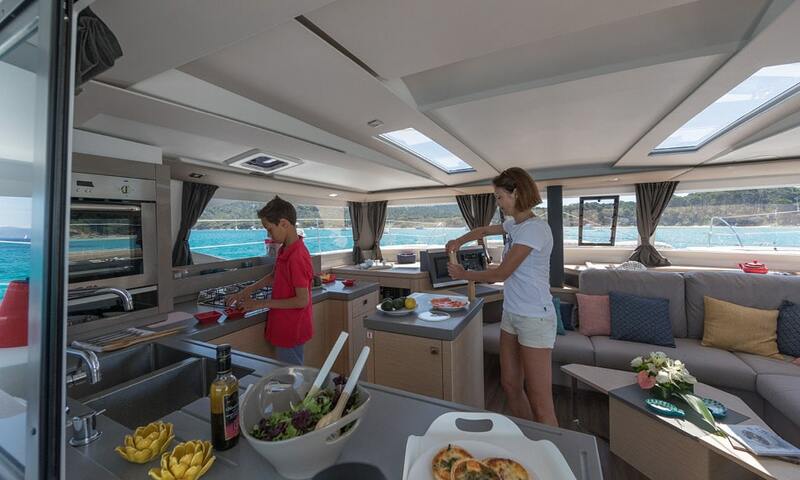 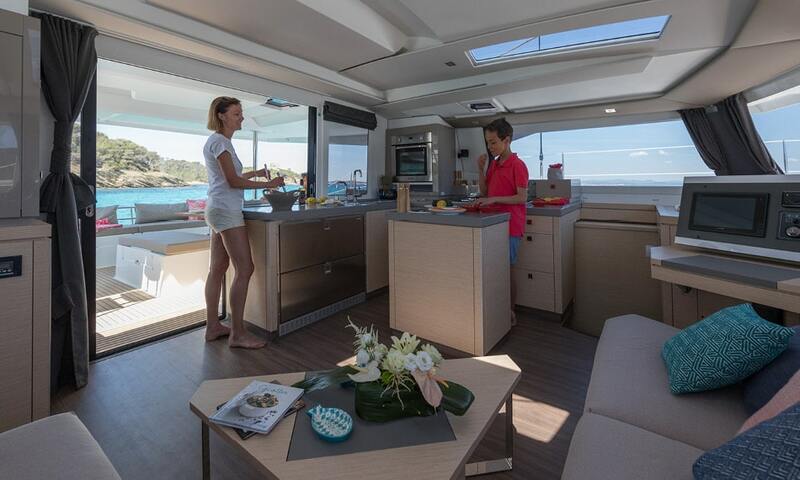 The exquisitely crafted saloon is bathed in bright natural light, and her comprehensively equipped galley has an island bench and an abundance of storage for extended cruising. 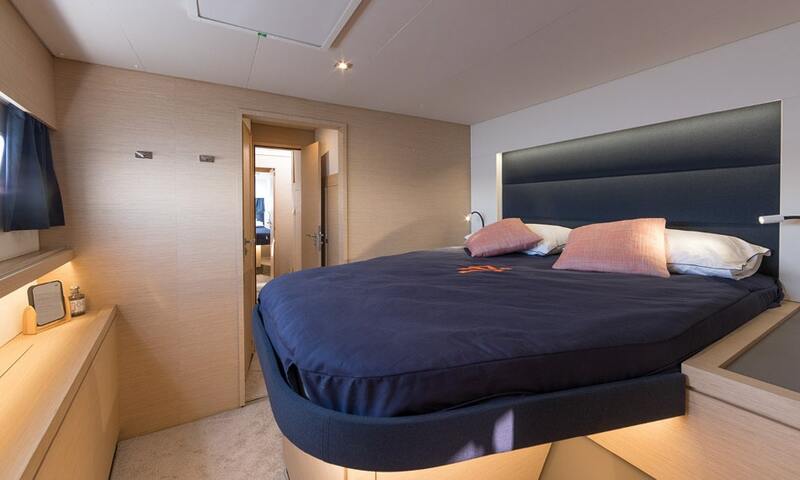 Available in two layouts, you can choose a 3-cabin Owner version featuring a decadent master suite that occupies an entire hull complete with a luxurious ensuite with Italian-style shower, with two generous guest cabins in the port hull that each enjoy their own exclusive ensuites. 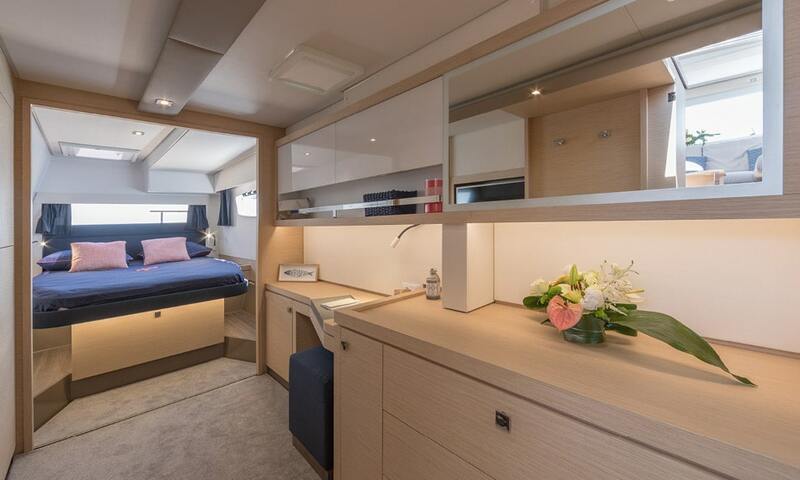 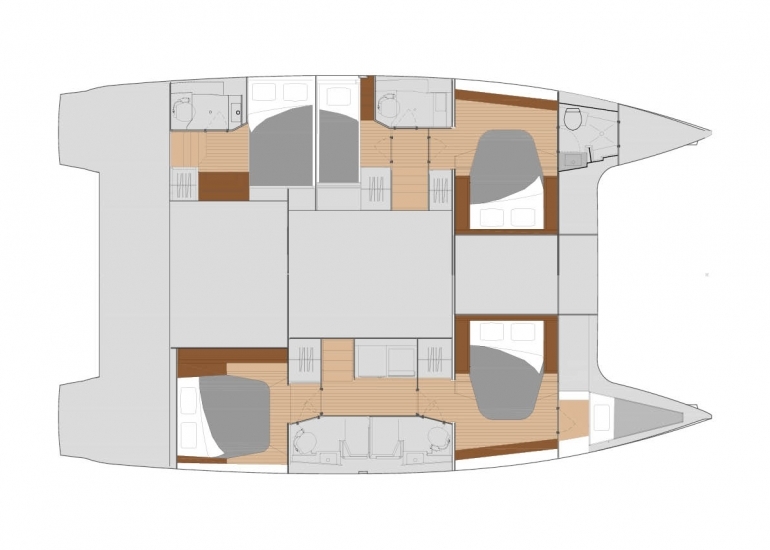 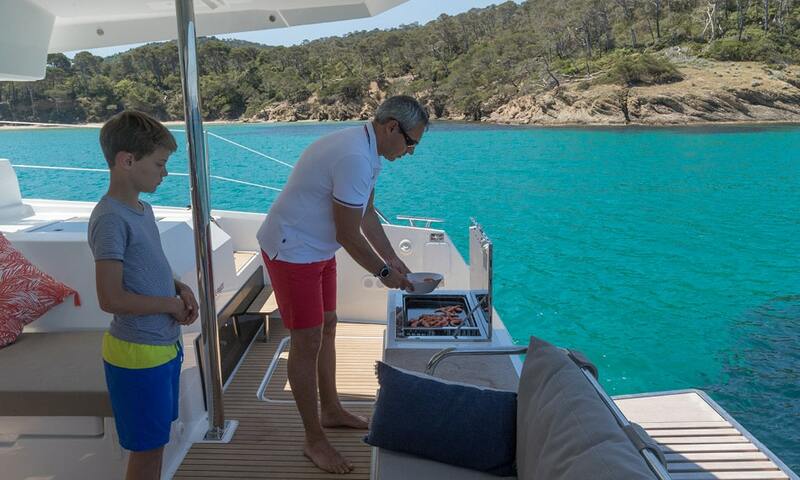 The Saona 47 is also available in a five-cabin charter version with private ensuites to the four double guest cabins as well as to the convenient crew quarters. 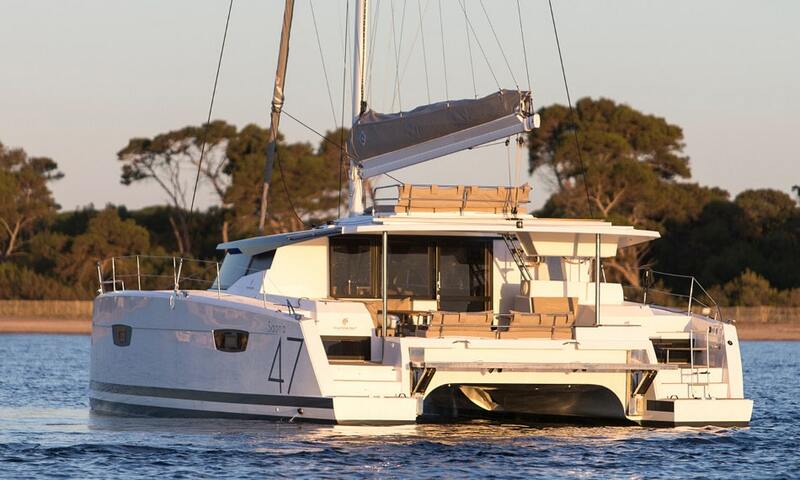 The Saona 47 cruising catamaran has been meticulously designed to offer intuitive responsiveness at the wheel and unparalleled performance in all conditions. 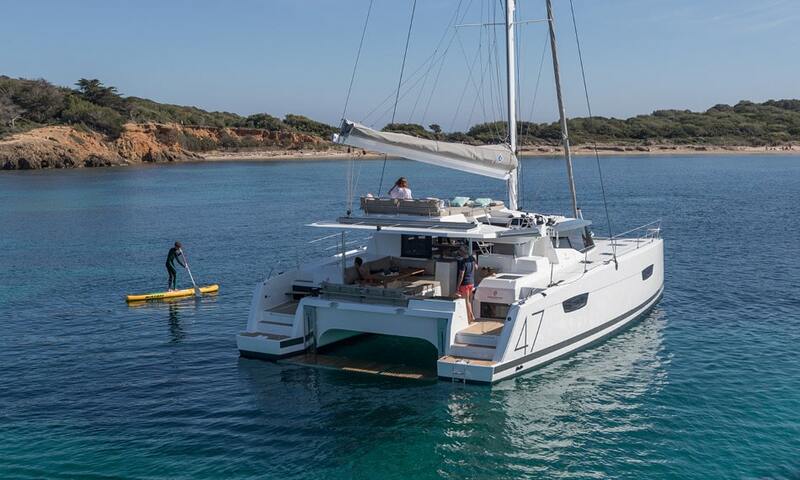 Her optimised weight-to-volume ratio delivers exceptional balance and stability for an unforgettable sailing experience at any speed. 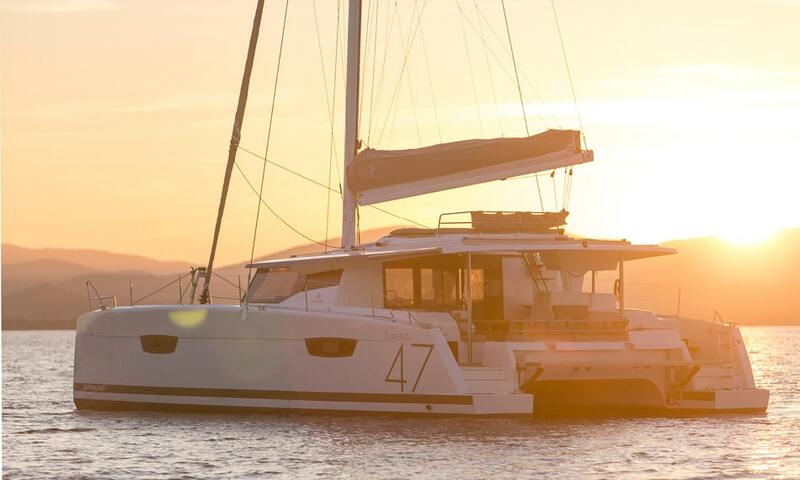 The Saona 47 – a dynamic yacht delivering cruising pleasures designed to be shared !